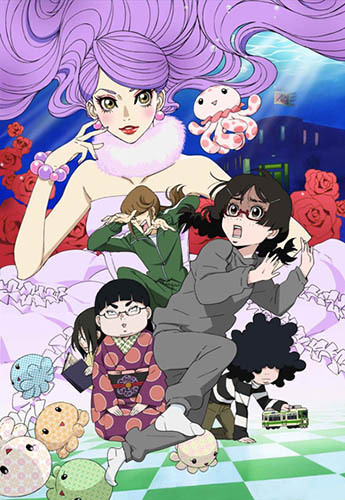 Plot Summary: The story centres around Kurashita Tsukimi, a huge fan of jellyfish, who transfers to Tokyo to become an illustrator. She moves into Amamizukan, an apartment complex that is full of fujoshi with a no-men-allowed rule. However, one day, Tsukimi invites a stylishly fashionable woman to stay at her room at Amamizukan — only to discover that the guest is not who she seems to be.